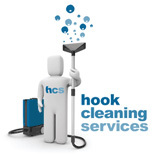 Having worked in Hook and Basingstoke since the very beginning, word of the quality cleaning provided by Hook Cleaning Services quickly spread to nearby towns. We’ve now been working in Reading for years, and we’ve made plenty of friends along the way too. We’ve been taking care of homes in Reading for many years now, so you’ve probably seen our mascot Hook Cleaning Service vans around and about! With such a huge area to cover, our vast range of kit benefits us endlessly and means we can offer a range of services to bring your home back to its best. From carpet cleaning, upholstery cleaning and rug cleaning right through to tile and grout – give us a call today to find out how we can help you. Reading is an ever-growing, booming town for professional businesses – so how do you compete? Keeping up appearances is a good place to start. Hook Cleaning Services can provide you with commercial carpet, upholstery and rug cleaning as well as tile cleaning and grout care for your office space, commercial exhibition or convention hall and even your hotel. In fact, check out our hotel and office pages for more information on how our professional services can transform your commercial area. We’ve always been sure to put 100% into everything that we do, and however much we expand our philosophy will always remain the same. Hook Cleaning Services has grown since back in 2007 – we’ve taken on extended training which means more quality services, more staff and more kit so that we can help people at locations nationwide. Does your Reading home or business need our attention? Give us a call today to organise a free consultation, so that we can let you know exactly the work that needs doing.